Which is more important to you in a Tae Kwon Do School? If it’s Convenience, we are conveniently located in Florida, NY. Right off route 17A-close to everything. If it’s Quality, we teach traditional values in a safe, comfortable and supportive environment. 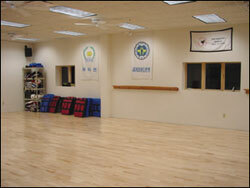 You can train in our spacious new facility and learn from Master Mitchell Barron and his Black Belt staff. If it’s Affordability, there is no comparison. You can take advantage of our introductory special of 4 weeks of unlimited classes for only $39.95. You’ll even receive a free uniform at this low introductory tuition. This will give you a chance to check us out and see for yourself that not all schools are created equal. Copyright © 2019 NorthEastern Martial Arts Academy. All Rights Reserved.